1. A daily brushing and flossing routine is the cornerstone of a healthy smile and beautiful teeth. Encourage your teen to brush at least twice a day and floss at least once per day. These dental care habits will protect their oral health at the most basic level. 2. Routine dental care appointments play an integral role in your teenager’s oral health. Don’t let your teen skip dental visits, even when their schedule gets busy. As a parent, it is essential that you encourage your teen to make all their visits to your family dentistry professional. Never portray a visit to the dentist as punishment for poor dental care. Project a positive attitude when it comes to visiting the family dentist. 3. Food choices significantly impact healthy teeth. Teens who consume a diet high in junk food are at greater risk for impaired dental health. Even drinks that are popular among teens, like energy beverages, fruit juices, and sports drinks, can erode the teeth and increase the development of cavities. Promote healthy snacks, such as fruits and vegetables, with your teen. Fruits and vegetables are rich in antioxidants that can help fight bacteria and reduce plaque buildup on the teeth. 4. 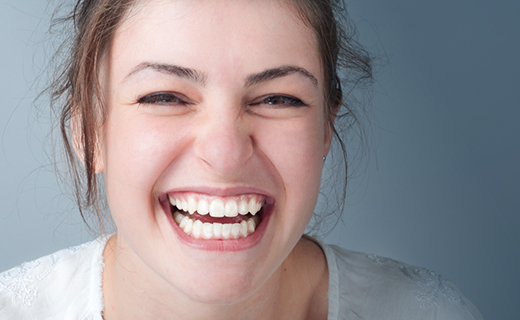 Healthy teeth play a vital role in a beautiful smile, so help your teen understand that. Teens are notoriously obsessed with their appearance, which can make encouraging good dental care habits easy to instill when you focus on what it all means to their smile. 5. Teenage girls are shown to be at increased risk for gum disease. Studies have shown that increases in progesterone and estrogen levels during puberty cause an uptick in blood circulation to the gums of young females. This can make the gums especially sensitive and susceptible to irritation, making it all the more important to encourage your daughter to practice diligent dental care. 6. Professional dental cleanings are critical for removing dental plaque buildup and tartar, and it should be done on a routine basis. In addition, you and your teen can talk to your family dentistry team about the unique needs of your teen to ensure optimal dental care. To learn about our family dentistry practice in Virginia, call Dental One Associates of Virginia today at (855) 979-3337 or make an appointment. Dental One Associates offers affordable family dentistry and gentle, compassionate dental care in Virginia. With 5 affiliated practices throughout Virginia, our offices are conveniently located with extended hours to meet your needs. At Dental One Associates of Virginia, we provide most dental services, from basic preventative care and general dentistry to specialized procedures and complete dental reconstruction. We accept most dental insurance plans and offer affordable financial solutions for any budget. Patient satisfaction is our top priority and we strive to provide the exceptional, affordable dental care and personal touch that lead to lasting relationships. A smiling patient is our greatest reward and we look forward to keeping those smiles healthy, beautiful, and bright. Discover an affordable dentist who truly cares at Dental One Associates of Virginia. Great service and care! . from front desk to the dr.s and the stuff. Thank you! Great experience. Got in fast, great staff, clean facility. Dental assistance and doctor take there time to explain the procedure and during the procedure, the doctor makes sure your comfortable and pain free. The level of care, concern and professionalism is reliable. Friendly staff and fast service. Great customer service. The dental technician is probably the best I’v had at Dental One. Farooq does a very thorough job in cleaning my teeth. Dr. Z is great! Dr. Miller is the best dentist I have had in my 67 years of life. I have used at least 10 other dentists during my lifetime, and I consider Dr. Miller to be head and shoulders above all the rest. Great people there. From the front desk to the dentists, they are all just as kind and helpful as they can be. The staff is friendly and professional and the service is always prompt.